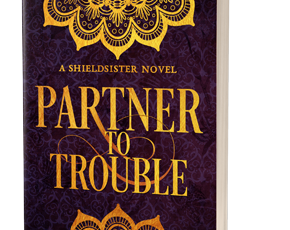 A mailing list exclusive novella, AVAILABLE NOW! What would it take for you to return to the family that threw you away? When his younger brother was born, Etrius went from heir to spare, and his father packed him off to learn to control his volatile magic far from home. He turned the intended punishment into a blessig by making a name for himself at the magical college of Sulidore and securing a sought-after apprenticeship. When the past comes calling in a beseeching letter from his mother urging him to come home after his brother’s death, all the troubling memories of his childhood return with a vengeance. With his old life bleeding into his new one, can he stand to give up a life built with his skill for a duty bestowed only bis his birth, or are the pleasures of his freedom a greater allure than the family he left behind? 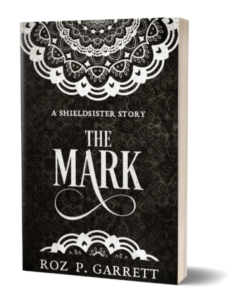 THE MARK is a novella in the Shieldsister series. 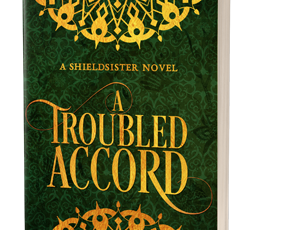 Readers should expect sword and sorcery fantasy, smart-mouthed characters, and steamy romance scenes appropriate for fans of KUSHIEL’S DART and OGLAF. This novella is a mailing list exclusive, which means it’s only available to subscribers. Interested? Then sign up to my newsletter for free books, updates, book release details and more!